CULLOWHEE – Western Carolina University’s Mountain Heritage Day, a free family oriented festival that celebrates Southern Appalachian culture through concerts, living-history demonstrations, competitions and awards programs, will be held Saturday, Sept. 30, on the WCU campus, from 10 a.m. to 5 p.m.
Named one of the top 20 festivals in the Southeast by the Southeast Tourism Society, this year’s event will include additional musical acts, vendors and an expectation of more visitors, organizers said. This year’s festival is dedicated to the memory of Haywood County’s Steve Sutton, a WCU alumnus and stellar banjo picker who died Saturday, May 13. He was a fixture at Mountain Heritage Day, playing with Whitewater Bluegrass Company and participating in numerous Circle Tent performances and jam sessions over the years. He is remembered for helping young musicians and the sense of community he shared through the festival. The festival started as Founders’ Day on Oct. 26, 1974, at the inauguration ceremony of WCU Chancellor H.F. “Cotton” Robinson, and became known as Mountain Heritage Day the following year. 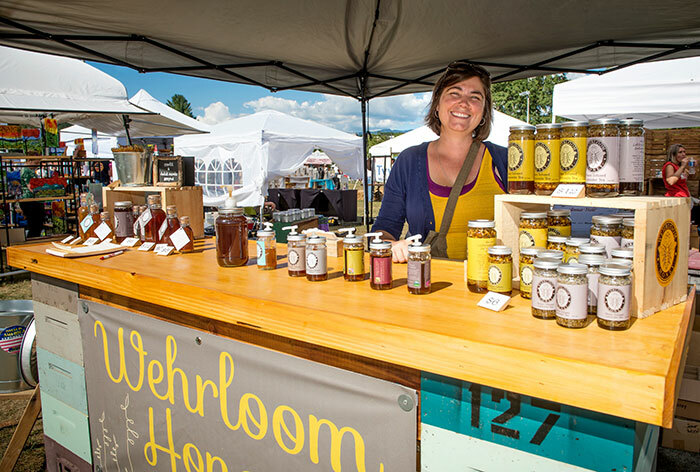 The festival has become renowned as a showcase of mountain music, family activities and the region’s finest arts and crafts, and vendors offering ethnic, heritage and festival food. Rain or shine, the festival brings history to life and fun to thousands. Shuttles will operate throughout the day, with stops at designated free parking and attraction locations. Mountain Heritage Day organizers continue their emphasis on providing activities for children, and the popular Children’s Tent will provide sing-alongs, music and fun throughout the day. 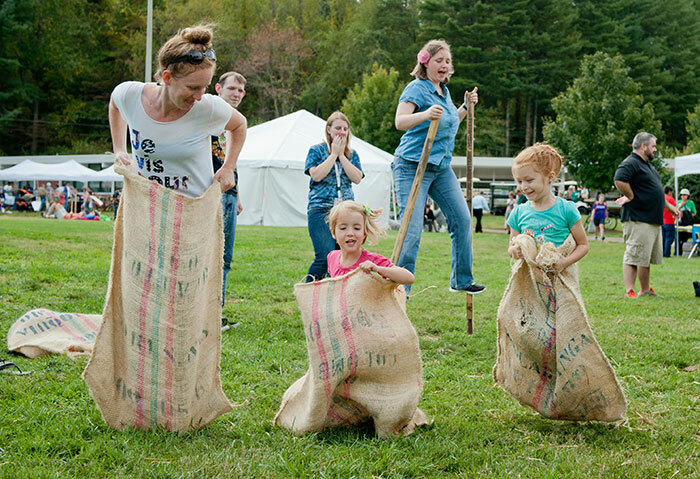 Children can participate in sack races, free wagon rides and hayrides, as well as try their hand at arts and crafts. The traditional Cherokee game of stickball has been a favorite attraction for festival visitors in recent years, with adult and youth teams taking the field to demonstrate the ancient sport that resembles a rough and tumble version of lacrosse. Also at the festival, the skilled, time-honored creation of Cherokee pottery, beadwork, coppersmithing, basketry and finger-weaving, as well as arrowheads, knife blades and spear points, will be demonstrated. Legends and stories will come to life through stone and wood carvings that create figures representing Cherokee myths and tales. This academic year, WCU explores a campus learning theme of “Cherokee: Community. Culture. Connections.” Events such as Mountain Heritage Day will help faculty, students and community engage in topics related to the native culture, festival organizers said. From shape-note singing to the best in professional bluegrass, music dominates Mountain Heritage Day from a number of stages throughout the day. There are 22 acts scheduled, including headliners Mountain Faith and Country Current, the U.S. Navy’s bluegrass band, along with Whitewater Bluegrass Company, Ol’ Dirty Bathtub and many others. 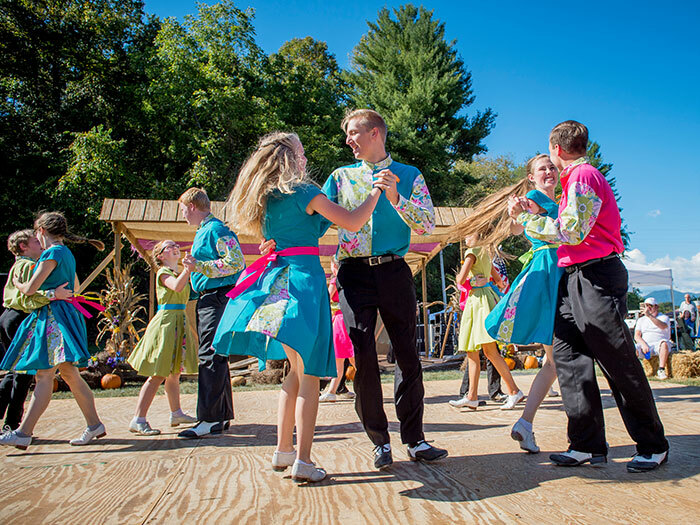 Perennial dance favorites Bailey Mountain Cloggers will be joined by Cole Mountain Cloggers and Southern Appalachian Cloggers for fancy steps and twirls. Back again this year is a ballad singing circle, where anyone and everyone can join in. Living-history demonstrations include the firing of muzzle-loading rifles, the fire and forge of blacksmithing, furniture-making, banjo-making and corn shuck crafts such as dolls, rugs and brooms. Experts with draft animals will demonstrate traditional skills of harnessing and driving horse- and mule-drawn wagons of bygone days. Hard work and detailed knowledge will be featured in a logging skills demonstration, including cross-cut saw sharpening, while attendees can become participants by riding a wagon pulled by an old-fashioned tractor. Traditional food competition includes categories for canned goods, baked goods and heritage foods conservation. Competition is divided into adult and youth (16 and younger) divisions. Ribbons will be awarded to the top three entrants in each age category, plus a grand champion will be selected in each division. “A Gathering In” food competition items will be accepted at WCU’s Cordelia Camp Building, with category deadlines available in a booklet; call 828-227-7129 to request a copy. Pumpkins will be featured food for the “Best in the West” food recipe competition and these entries must be dropped off at by 12:30 p.m. on Friday, Sept. 29, with judging taking place that afternoon. All items will be displayed at Mountain Heritage Day. Mountain Heritage Day will return to being a dog friendly event this year, welcoming the four-legged family members. Dogs must be leashed at all times and under the handler’s control, and not interfere with any performance or activity or others’ enjoyment of the festival. Water and shaded places will be provided throughout the grounds and two festival volunteers will be assigned to assist in pet policy management. Keep in mind, any infractions will result in dogs and owners being removed from the premises by campus police for the duration of the festival. A large and varied selection of arts and crafts will be available from vendors. Among the items on sale will be baskets, including handwoven and wood and vine construction, and ceramics such as pottery, stoneware and earthenware. Corn shuck art and toys, quilts, cotton rag rugs and other fiber handwork, weaving and wearables such as scarves will be on hand along with knitted and crocheted pieces. Handcrafted furniture and housewares, several types of glassworks, jewelry, leather goods (including belts) and metal work will be sold. Mountain Heritage Day hosts a variety of fun and serious competitions reflecting history and traditions of the mountains that draw contestants from near and far. A 5K race begins at 8 a.m. and winds its way through the campus. A nationally recognized chainsaw and timber sports event draws numerous competitors. A vintage, classic and antique car and truck show is a viewers’ choice contest, with attendees able to walk among the vehicles and cast votes, with plaques presented to the winning picks. Mountain Heritage Day is part of the Blue Ridge Music Trails of North Carolina, with www.BlueRidgeMusicNC.com an easy and convenient way to find festivals, concerts, jam sessions and plenty of singing and dancing to the traditional music of Western North Carolina. To learn more about WCU’s premier festival, visit www.mountainheritageday.com or call 828-227-3039.